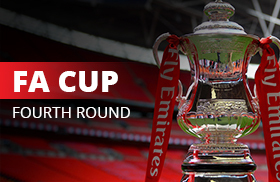 The FA Cup Fourth round shall involve 32 teams, with the winning sides securing progression to the fifth round. 14 of these teams are from the Premier League, with the rest coming from the lower divisions. The FA management likely to continue its experimentation with Video Assistance Refereeing (VAR) technology. Consequently, the fourth round of this season’s fixtures is expected to draw the keen attention of various football stakeholders. The reigning premier league champions are set to host their premier league counterparts in a thrilling encounter on the 28th of January. The London-based club progressed to the fourth round of England’s oldest cup competition after a controversy-laden victory over Norwich City in the third round of fixtures. Chelsea gaffer Antonio Conte is likely to field a strong side, with in-form player Eden Hazard expected to feature. Newcastle shall travel to the bridge with their best possible squad, with little left to fight for elsewhere. The Championship side, Cardiff shall meet the current premier league table-toppers after getting the better of Mansfield in the previous round. Manchester City tactician, Pep Guardiola is likely to field a weaker side, with his eyes firmly set on upcoming Champions League and Premier League fixtures. Club top-scorers Sergio Aguero and Gabriel Jesus are thus likely to be rested for this fixture, with fringe players like Bernado Silva and Yaya Toure most probable to be thrown into the mix. The League Two side are the lowliest-ranked side still participating in this year’s FA Cup Competition. The small-town club overcame league one’s Bradford in round three to book their fourth round ticket. Manchester United, managed by the ever-scheming Jose Mourinho, will be looking to progress to the next round especially considering they’re unlikely to lift the premier league trophy this season and the FA Cup remains one of their best hopes for a trophy this season. In form-attackers like Anthony Martial and Jesse Lingard shall be expected to feature for Mourinho’s men. Netbet – Football Betting and the latest Football Odds with Cash Out, ACCA Boost and In-play features. Unibet – Offers a myriad of markets, competitive Odds and Online Betting on over 4000 sporting fixtures. Live Streaming and Mobile Betting on the Go are also available at this top bookie.